Join us as we discuss how drones can change the way you view your job site both indoors and outdoors. We'll be discussing the impact of emerging topics in the drone space such as computer vision & machine learning, virtual reality, and data-driven workflows, and how these and other technologies are helping businesses explore exciting new opportunities with drones. 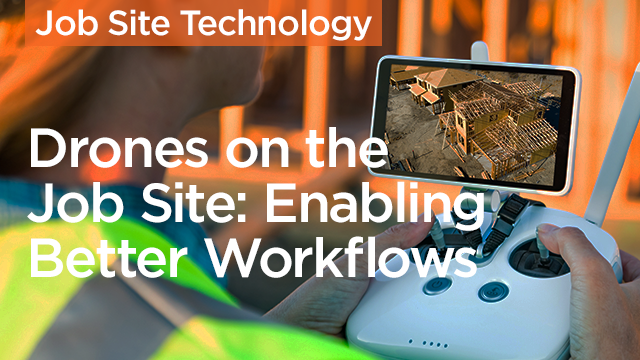 Learn how drones are quietly revolutionizing the way that construction companies do business. Assess how drones can give you the perspective you need to optimize your workflow and save money whether you’re a foreman, executive, or architect. Learn about the impact of computer vision and machine learning, virtual reality, and data-driven workflows. Learn how drones and other technologies are helping businesses explore exciting new opportunities.